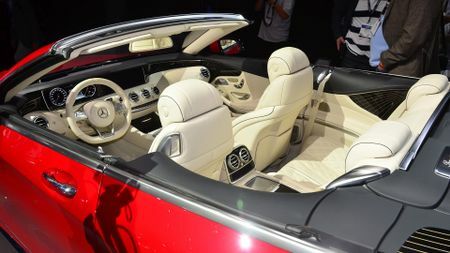 Tinseltown may have a new favourite boulevard cruiser in the shape of the new Mercedes-Maybach S 650 Cabriolet, which is making its global debut at the LA Auto Show. Maybach (pronounced my-bach) comes from the hyper-luxury division of Mercedes-Benz and is a sub-brand that’s unashamedly positioned to cater to the super-rich, where no customer request is ever considered too difficult or outlandish. 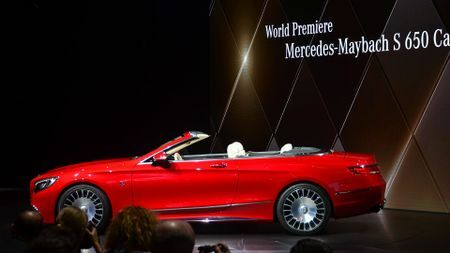 To date, the modern Maybach projects have focused on upgrading the experience in an S-Class saloon from Business to First, so this will be the first convertible model to wear the hallowed M badge. Taking the £193k Mercedes-AMG S65 Cabriolet as its donor vehicle, the 621bhp, 6.0-litre biturbo V12 remains unfettled, maintaining a brisk 0-62mph sprint time of 4.1 secs. Instead, the Maybach treatment starts with a bespoke client consultation that leads to extensive colour and trim options that include textured 3D wood paneling and softer, comfier, 'waterfall-effect' leather seats. The new forged 20-inch ‘bichromatic’ alloy wheels (pictured) are also specially developed for the Maybach. After the interior design of your Maybach Cabriolet has been agreed, a four-piece luggage set is then individually tailored in the same materials to match. You’ll also receive a high-quality car cover with diamond quilting, plus a certificate signed by Mercedes boss Dr. Dieter Zetsche. The price? Well, don’t expect change from £260k which, to this underling, looks rather overpriced and underwhelming, especially when positioned alongside the ranks of the £264k Rolls-Royce Dawn. 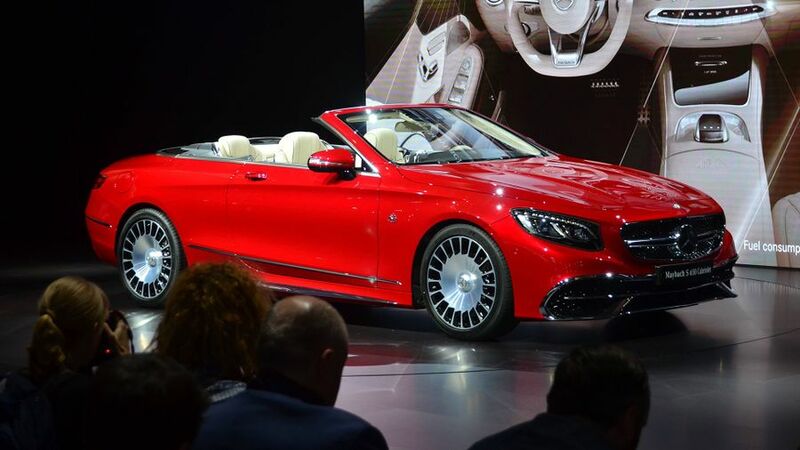 Still, if it’s exclusivity you’re after, then the Mercedes-Maybach S 650 Cabriolet will be as rare as hens’ teeth. Mercedes has said it will only produce 300 units worldwide, of which just three will be allocated to the UK. Interested in buying a Maybach ?